These were the words that started the Declaration of Independence of the United States of America. From that moment, we defended our Independence in a Revolutionary War that secured our freedom and liberty and own destiny as one nation. The thirteen Colonies felt a greater connection to each other than they did to the British Crown. From then, this prideful feeling of geographic nationalism, born through revolution, would spread worldwide, shaping many borders we now know today. In South American and East Asia, nations gained its independence from the Spanish Empire. And in Europe, with France first freeing itself from its monarchy and then from the Empires of Napoleon, geographic nationalism continued to spread across the continent. By the turn of the 20th Century, the rise in nationalism would spread to eastern and southern Europe and the Balkan states. This would inspire, one nationalist, whose goal was to unite a Serbian nation, to assassinate the heir to Austro-Hungarian Empire, Franz Ferdinand. This would be the cause of the First World War, a war that would lead to the death of over 15 million people. When the war was ended, to prevent such a conflict from happening again, the Allies divided the German Empire, Austro-Hungarian Empire and Ottoman Empire, redrew national borders and created the League of Nation whose expressed goal was to prevent future conflicts by a “collective security” agreed upon by multiple nations. Unfortunately, the results of World War I was the precipice on which caused the outbreak of World War II. This time, instead of a Serbian nationalist seeking to unite a Serbian nation, it was German nationalist seeking to unite a German nation with German people who felt they were unfairly divided at the end of World War I. The German nationalist, of course, was Adolf Hitler and the German nationalism he used was Nazism. And this brand of ethnic nationalism lead to the death of over 65 million people worldwide, the most destructive conflict in the Earth’s history. By its end, a twice-devastated Europe knew it’s survival depended on cooperation of all their nations to have a vested interested in the well-being of each other. It was said the antidote to the extreme nationalism that lead to these destructive conflicts was to be cultural and ethnic integration. This initially lead to increased economic integration, which created the European Economic Community, which itself, when combined with a monetary union, culminated in what is commonly known today as the European Union. A Federation of nearly 30 nations across Europe who have combined to facilitate the free movement of people, goods, services and capital across all of Europe for the benefit of all of Europe. The hope was to increase familiarity and human connection to recognize the humanity in each of us for the good of all of us. Last week saw the end of a political movement in the United Kingdom where the British voted on whether or not they should remain in the European Union or leave. The United Kingdom European Union Memeberahip Referendum or “Brexit” was a close but extremely contested vote. In England, those who voted to leave won, a decision which was completely unexpected to some but absolutely welcomed by others. The reasoning for the Brexit was to have increased control of economic and undoubtedly social borders, which supporters felt was taken from them and given to another entity without their best interest in mind. The “Leave Campaign” touted slogans such as “Britain First”, which meant that the British should consider what’s good for Britain before they consider what’s good for Europe. This was a campaign that depended upon geographic and cultural nationalism as much as socioeconomic integration. It was the same nationalism that Europe feared, which caused the creation of the E.U., would also inspire forces within England to vote to leave the E.U. Ironically, they joined out of fear of nationalism and left by embracing. Amid the upheaval of the Brexit, a British Memeber of Parliament, Joanne Cox was brutally murdered by a man with ties to British Nationalist and Neo-Nazi groups. As he attacked Cox, witnesses heard him shout “Britain first!” the same slogan used by those wishing to separate the United Kingdom from the European Union. What we saw in England, we fear could be reflected here in America. What we don’t realize is, that no matter the similarities, what happened there will have an extremely harder time being replicated here. For one, the United Kingdom’s population is 87% non-hispanic white, while in the United States that same demographic is 64%. Electorally speaking, the majorities of white male voters that breeds the sort of nationalism that these campaigns thrived on has been an ever decreasing number for nearly 30 years now. Simply put, there are not enough white voters for that to be a dependable voting block to sway an election any longer. More than that, imagine the circumstance if an alleged white nationalist shot and killed a Memeber of Congress shouting “Make America great again” a week before the November election. Would this be a country that would then have a Donald Trump as president and embolden such a sentiment by giving it electoral validity? When the United States declared their Independence in 1776, the world was a different place. Geographic and cultural bands that once group us gave us an identity, which was hard to break considering how unconnected the world was. These geographic and cultural differences often lead to conflict due to a lack of understanding of how others live and what they value. These conflicts continued and we’ve witnessed the power to destroy entire nations. But now, information and technology has connected us in a way our Founding Fathers could only dream. The European Union was created with the purpose of preventing conflict that is born of nationalism gone unchecked by increased cooperation. American Historian, Carter G. Woodson once said that increasing social and professional contacts among different races could reduce racism. Racism is the natural and inevitable extension of nationalism being unchecked. Wanting to control the social progression of your nation is something all independent governments would want. But when it comes at the expense of making the world smaller and less inclusive, that will only breed more fear, more ignorance and more hate. Those bonds of information are threatened when other cultures and ethnicities are excluded from yours. When Donald Trump says “make America great again”, talking about barring Muslims and Latinos from entering the United States, that only makes it harder for us to learn from other cultures that are not our own. He professes to build a wall to keep out unwanted persons, however England has shown him a way of building that wall without brick or mortar. 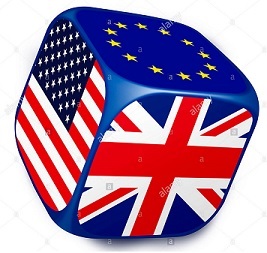 Withdrawing from the European Union puts up the kind of barrier that will not only hurt England but such an action has been shown to repeatedly be the kind of action that can threaten the entire world. Dangerous decisions like the E.U. Referendum will certainly have a negative impct on the United Kingdom. It already has. But the entire point of the United States of America was to be a single nation made for immigrants by immigrants. Fact of the matter was, it was Great Britain’s obstruction and discouragement of immigration to the Colonies that became one of the primary grievances that inspired our Declaration. That is not who we are. That is not who we ever were. We are a better nation because of our ethnic and cultural integration. More pointedly, we ARE a nation because of our integration. That is who we are. This was the answer the newly crowned Heavyweight Champion, Muhammad Ali gave when asked about his philosophy of life. At 50, Muhammad Ali was one of the most revered men throughout the entire world. As an athlete, that reverence was on display four years later in 1996 when the former Olympic Gold Medalist was given the honor of carrying the torch to light the Olympic flame during the Summer Olympics in Atlanta, Georgia. Muhammad Ali, in his fifties, was a worldwide goodwill ambassador and was known as such for the rest of his life. A life that ended suddenly on June 3rd of 2016. Muhammad Ali not only viewed the world differently at 50 than he did at 20, but the world viewed him differently at 50 than it viewed him at 20. By the age of 20, Ali, who was still known as Cassius Clay, was an up and coming heavyweight contender with a flashy style and extremely loud mouth. At age 2o, with his boxing moniker, the “Louisville Lip” was brash, boastful, went out of his way to be heard and seen and brutally taunted opponents into matches against him and most annoyingly WHILE engaged in a match against him. This was the strategy he used to get a match against Sonny Liston, whom everyone assumed would knockout Clay and do it rather quickly. That didn’t happen. Clay beat him and beat him easy. Clay’s skill was his speed, which he used to hit Liston whenever he wanted and avoid every punch thrown at him. At 22, Cassius Clay became the youngest fighter to defeat a reigning champion in boxing history. And history is what happened. Back in the early 1960s, Black athletes were not as prevalent as they were today. Yes the likes of Jim Brown, Willie Mays and Bill Russell were becoming stars in their own right, they weren’t anything like we see black athletes today. They certainly had not the sort of prestige and privilege they do today. Muhammad Ali, willfully went against that grain. But you have to put into perspective what he was. Fact #1: He was Black. The Civil Rights Movement had only begun to get off the ground. Black men and black people in general were still effectively second-class citizens in many ways, if not by law, certainly by expectation. They “had their place”. Some were burgeoning stars, but we’re respectful and we’re consider safe and likeable, much like a Jackie Robinson. Not Ali. Fact #2: He was arrogant. Muhammad Ali was really good at what he did and he knew it and was not afraid to tell you about it, quickly displacing the given moniker, the “Louisville Lip” with a chosen moniker, “The Greatest”. If mainstream America had their opinions on the place and status of black people, it certainly was made worse with one as proudly boastful as Ali was. Fact #3: He was Muslim. Not just any typical Muslim, which then had not the same connotation as it does today. But Muhammad Ali, shortly after winning his title had began using the name Muhammad Ali when he joined the Nation of Islam, which was notable for its extremism and militancy. Think what Black Lives Matter is today with the reputation of today’s Klu Klux Klan. That was how the majority felt about the Nation of Islam. Now imagine one of the more popular athletes in American sports joins such a group. How would we react today if Tom Brady or Bryce Harper announced very publicly that they are joining the Aryan Brotherhood. How would America and the World treat these figures in today’s world? That was the position Muhammad Ali was in. The biggest difference is that Bryce Harper and Tom Brady are already accepted and welcomed figures. Muhammad Ali was Black and arrogant and then had the audacity to join Black Separatist, who the nation feared and rejected, to make it even worse. The aversion to what had become to Muhammad Ali wasn’t just with mainstream White America, but it was also held by many within Black America. Former champions like Joe Louis were shunned by him. Jackie Robinson, the first Black player in the Major Leagues, who was rather universally accepted by most Americans, he would not bring himself to call the Muhammad Ali by his new name. This action was repeated by other fighters like Ernie Terrell and former champion, Floyd Patterson. Patterson, who before facing Ali, said he wanted to beat Ali to “bring the title back to America”. This was Muhammad Ali in 20s. Reviled by White America. Disrespected by Black America. This would be bad enough, but as a militant, arrogant black athlete in the 1960s, he then made it worse. 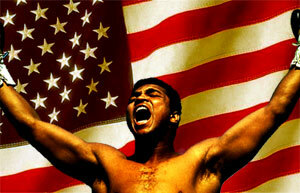 Fact #4: Muhammad Ali refused to be drafted into the Vietnam War. Across America young men were being drafted to go to war and Ali was expected to do the same. Yet, he refused. He did what thousands of others could not do and would not do. The United States of America was in the mist of stopping the spread of Communism and fighting for the world’s freedom and America’s most notable champion refused that fight. What he did, many across America considered unpatriotic and shameful. But because of his very public personal and religious beliefs, he would not accept being drafted. And he did this at the expense of his career. Not only was Muhammad Ali a champion at the top of his career, in the prime of his career, by his actions and his suspension and facing imprisonment, Muhammad Ali was willing to give up his career for an undetermined length of time. It should have been a matter of months, but it ended up being a matter of years and could have easily been a matter of decades. There was no way to tell but he still refused. And that’s when things started to change. We saw the toll the war begin to take on our population and specifically, black men who mostly fought it. Not to mention, if there is one thing all Americans can recognize, no matter the guise, is a man that is self-made and a man who gains his own achievements on his own merits. They also recognize when something is unjust and done without order. The American people recognized Muhammad Ali’s skill and his championship he earned and they saw it taken away from him and not because of something he could not do. He did not lose his title. It was taken from him. And just like he did, freely telling crowds about his greatness, he took that same message about his own career. And surprisingly enough, the people started to listen. Eventually, Ali was able to make it back to boxing. He suffered a setback in his attempt to regain his championship in 1971 against Joe Frazier in the most watched bout in the world. But his star was not diminished. Frazier would receive a savage beating from another Olympic Medalist and Champion, George Foreman. Foreman who was universally feared by the public in general, let alone all other heavyweight boxers, he was challenged by Ali in Zaire, Africa. The Rumble in the Jungle it was called. When Ali arrived in Africa he was celebrated in a way that he wasn’t in America. Crowds flocked to him by the thousands shouting his name, wanting to be with him. Ali would go on to win. Something no one assumed he would do. His next great test came against his greatest rival, Joe Frazier, in yet another part of the world, the Phillipines. Muhammad Ali would not only face insurmountable challenge after insurmountable challenge but he made sure the world was able to see him over come each of these challenges. And as much as he brought his displays of talent to the world at large, he also brought something even more invaluable; himself. An ambassador of Black America and Islam, to a world that is unfamiliar with each. I talk a lot on politics and society and the world as we see it. Yes, I tend to keep conversations friendly, but one way to get me to shut up about it is to talk boxing. I’m a huge fan of the sport and there’s almost no conversation that does not feature Muhammad Ali. But it’s almost impossible to talk about Muhammad Ali and not talk about the man he had become later in his career and after. Given the circumstances today, where certain presidential candidates have made remarks and criticisms of Islam and Muslims worldwide, recognition of Muhammad Ali and the life he’s lived is critical in bridging the gap of misunderstanding and misconceptions of what Islam actually is. He was probably the world’s most recognizable Muslim and the most visible example of what being a Muslim looks like. Even towards the end of his life when he was no longer able to speak, his actions spoke much louder. In the ring he was the greatest. But outside the ring, in his life, he was much more. For as much as he is known for his skill in the ring, his greatest fights were outside the ring. When he was between ropes with a pair of gloves on he was unquestionably a champion, known as ‘the Greatest”. But to the rest of the world, he wasn’t just “the Greatest”, he was the entire World’s Greatest.